Interested in trying your hand at growing vegetables, but can’t make up your mind where to start? Maybe give the soon-to-be-released “Egg & Chips” plant a try: It grows two vegetables in one. The latest crazy release from the longstanding British seed and plant brand Thompson & Morgan, Egg & Chips is a unique creation that has eggplants fruiting from its green top and potatoes growing underground by the roots. It’s the long-awaited follow-up to the company’s Tomtato—the half tomato, half potato plant it debuted back in 2013. For all you Neil Young types getting ready with your non-GMO pitchforks, Thompson & Morgan stresses that the Egg & Chips plant (hopefully the reason for the name is getting obvious as we go) is not at all genetically modified. It’s created using the more natural process of grafting. 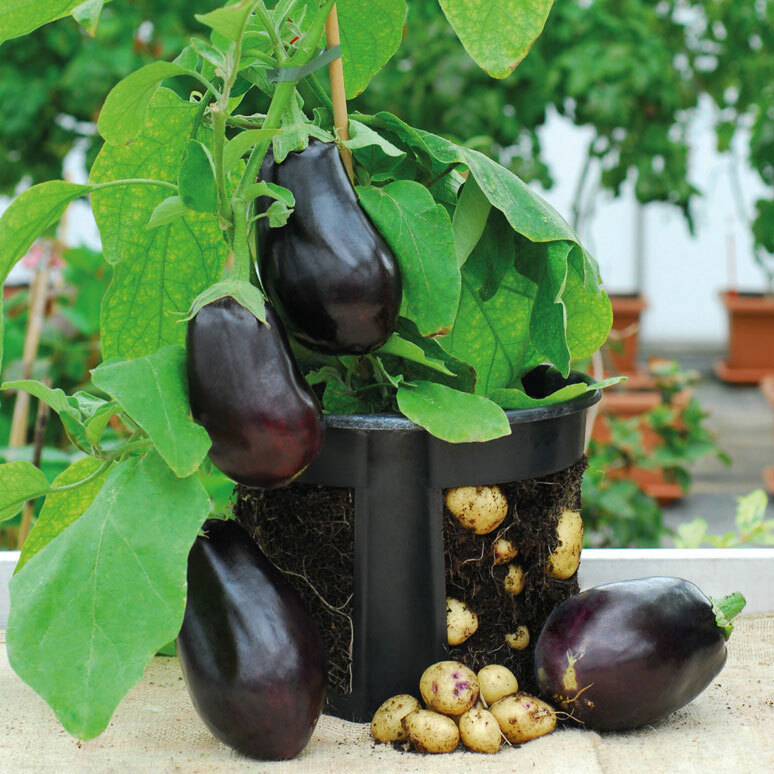 “The lower end of the potato plant, containing the tuber-producing roots, and the top section of the aubergine, which will bear fruit, are clipped together for about a week until the two parts naturally fuse together,” Kris Collin, the company’s communications officer, told Modern Farmer. Since both vegetables are scientifically under the same family, this strange grafting actually works when done properly.